Ben’s Minervois Plus is that perfectly-polished red you want to have on hand at all times – with flickers of cherry and red fruit flavors followed by a smooth, round finish. Harvested from the hills of Black Mountain in France’s Minervois region, Ben fermented your Reserve in concrete tanks to lock in flavor – then barrel-aged your red for an oh-so-smooth finish. Open this red and let it breathe 1-2 hours before preparing a hearty dinner, like beef bourguignon or minestrone with some crusty bread. Mon Dieu! Easy-drinking, elegant Pinot – with Burgundian style and powerful flavor. And it's an absolutely crazy bargain for Angels! This is ONLY possible because Angels believed in Ben Darnault and his crazy dream of making refined Pinot in a region where nobody dares... the sunny south of France. You can taste the warm, Mediterranean sunshine. 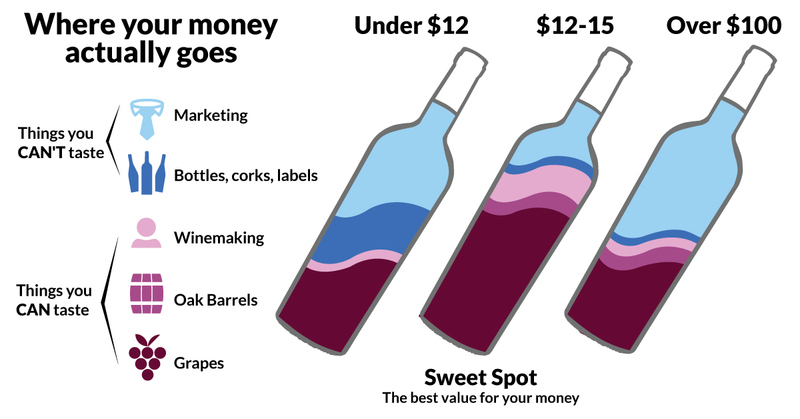 And for less than $10 a bottle, you can afford to drink fine Pinot any day of the week! A rich Syrah blend with a big dollop of Grenache and drop of Mourvedre – that's what makes it a classic French red! It's juicy and fun, like catching blackberries on your tongue. With your support, Ben harvested old vine grapes along the ridges of Roussillon – halfway between the coast and the Spanish border. It's top-shelf fruit. Anyone else in the world would pay double! To make the most of this blend, Ben recommends decanting it for 1-2 hours before drinking – give this wine a little time to breathe, and oof. C'est fantastique.